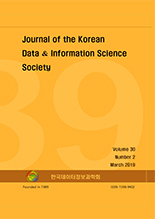 남호수, 이현우, 김종태, 김대식,(2019).철도사고 현황분석을 통한 국내철도 RCM 수행방안에 관한 연구.한국데이터정보과학회지,30(2),415-427. 최근 발생한 강릉선 탈선사고는 철도안전 및 체계적 유지보수 체계구축의 필요성에 대한 중요한 계기가 되었다. 근래 10여 년 동안 사고건수는 해마다 급격한 추세로 감소하고 있으나 지연운행은 크게 줄어들지 않고 있고, 지연운행의 원인이 대부분 차량고장으로 나타나고 있어 철저한 유지보수를 수행하지 않으면 보다 큰 사고로 이러질 가능성이 있다. 그러나 국내 철도운영사 대부분은 체계적 유지보수 활동인 RCM (reliability centered maintenance) 시스템 구축과 운영에 대한 이해의 부족으로 어려움이 있는 것이 현식이다. 따라서 본 연구에서는 국내 철도의 환경에서 RCM 수행을 위해 우선적으로 수행해야 할 몇 가지 방안을 제시함으로써 RCM 수행을 보다 효율적으로 할 수 있는 방법론을 제시하고자 한다. The recent derailment of Gangneung Line occurred as an important opportunity for the establishment of railway safety and systematic maintenance system. In recent 10years, the number of accidents has been decreasing year by year, but the delayed operation has not been reduced significantly, and most of the delayed operations are caused by a vehicle failure, which could lead to a bigger accident of thorough maintenance is not carried out. However, most of the domestic railway operators have difficulties due to lack of understanding about RCM (Reliability Centered Maintenance) system construction and operation, which is a systematic maintenance activity. Therefore, this study suggests some method to perform RCM in the environment of domestic railway, and suggests a methodology to make RCM implementation more efficient.